A large amount of the UK’s employment law comes from the EU, for example the Working Time Regulations, Agency Worker Regulations and rules on transfers of undertakings. As a member of the EU the UK has to implement EU Directives in its own domestic law and court and tribunal judges have to interpret such laws in accordance with the objectives behind them and consistent with rulings by the European Court of Justice. In theory, when the UK and EU conclude their divorce, the UK Government (whatever its make up at the time) will have free reign to repeal all EU based laws. Rather than a big bang of changes though, I expect the government will take a piecemeal approach, keeping the majority of EU employment law but gradually making changes, for the following reasons. We will not know for some time the precise terms on which the UK is going to leave the EU and trade with it in the future, but the price of a trade agreement with the EU is likely to require compliance with EU employment rights. If the UK is going to follow the Norwegian model and join the European Economic Area, then EU employment law will continue to apply. This will become clearer during the negotiations with the EU regarding the terms of our departure. So in the short term, during negotiations for exit, there will be no significant changes to employment law in the UK. The introduction of gender pay gap reporting and the apprenticeship levy are UK led initiatives, so employers should still expect them to be implemented as planned over the next 12 months. Imposing a cap on the amount of compensation that can be awarded for claimants who win discrimination claims. Such changes will not be without opposition, so employment law reform could be a hot topic in the next general election. So employers hoping for more flexible employment laws post Brexit should start lobbying their MPs and trade associations now. 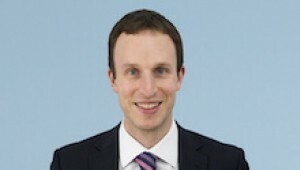 If you have any questions regarding the impact of Brexit on your contracts, or if would like us to undertake a review of your existing contracts or prepare new post Brexit contracts, please do not hesitate to contact Ben Stepney, Senior Associate in our Employment team at Thomson Snell & Passmore LLP on 01322 623708 or at ben.stepney@ts-p.co.uk.